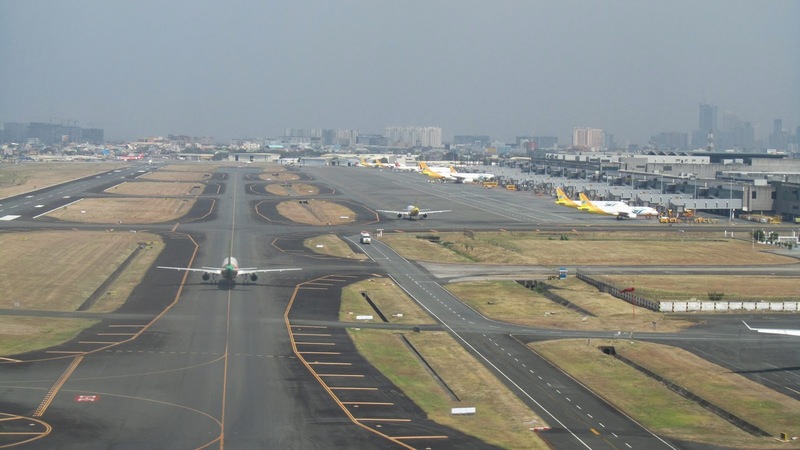 Aviation Updates Philippines - Three foreign companies are interested in the P91.4 million Ninoy Aquino International Airport runway consultancy deal as the government plans to increase runway movements from 40 movements to 50 or 60 movements per hour. This includes Mitre Corporation of the United States, NATS Ltd of the United Kingdom, and Copenhagen Airport of Germany as the interested companies, the Department of Transportation and Communications said. "The likes of Mitre, NATS, and Copenhagen Airport have expressed interest. NATS in particular did a consultancy in Hong Kong and Singapore and they have increased movements by 20 percent," Abaya said. A representative from NATS said that it is possible to increase runway movements. The government also plans to improve airside capacity which consists of additional infrastructure, improvement on schedule, upgrading airport technology, and further increase runway movements. "We need that kind of expertise to tell us what so we improve our movements per hour," Abaya added. Last month, the Philippine Government said that it is initially spending P2 billion to construct another runway beside runway 06-24. "The first phase is P2 billion but we have to verify that. The new runway could allow Airbus A320 to land,” Transportation Secretary Joseph Emilio Abaya said. Abaya said that they are still verifying if the owners of the 600 households near NAIA are informal settlers or private owners. Once the new runway will be operational, the simultaneous landings and take-offs of planes would disappoint homeowners as it will generate noises. NAIA operates several midnight flights. To further increase passenger capacity and ease congestion, the Philippine government is planning to construct Terminal 5. "We are pushing through with NAIA Terminal 5, but we haven't decided on the structure of the project yet," Abaya said. The new terminal is planned to be constructed near Terminal 3. The Terminal 5 project is believed to help minimize flights in the current four terminals which are operating beyond capacity. However, Terminal 1 and Terminal 3 are currently undergoing rehabilitation to further improve traveler experience. thanks for giving this useful information. Keep update your thoughts.